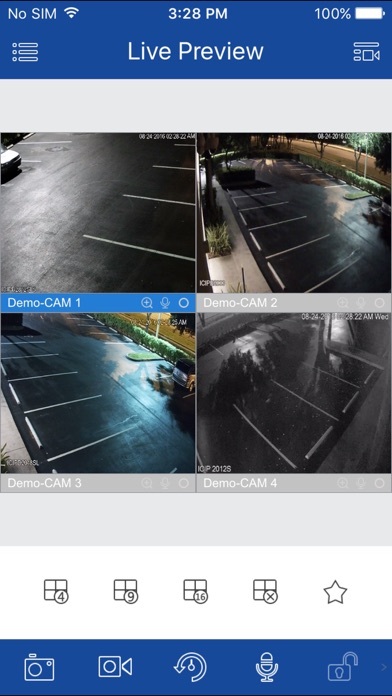 Access and control DVR, NVRs and IP Cameras directly from your iPhone, iPad, and iTouch. Watch and listen to your live surveillance video streams - fast and simple. Features - Compatible with the iPhone, iPad and iTouch devices! - Stream live video directly from your security devices (not through 3rd party servers) - Remain secured with username/password authentication - Full control of PTZ cameras - Take snapshots of live streaming video - Landscape and portrait mode - Support of ICRealtime’s full range of offerings - Support multi-window view - Support live audio - Support bidirectional talk - Support favorites - Support remote playback - Support push alarm - And much, much more! They have major hold times for their support help. Once you get on if you are missing anything you have to call again. I had to redo my entire camera security system due to their inferior quality of equipment. I even spent over 8k on their recommended equipment. I had also spent $30 on their pro app for iOS device and now I want a refund for it. Paid $30 for an app that doesn’t work. The support couldn’t solve the issue. Quite possibly the worse I Interface I have ever had to deal with. Was installed by our IT guy. Trusted him. Nothing more frustrating than Using this app. Would not recommend. One star is even too much. 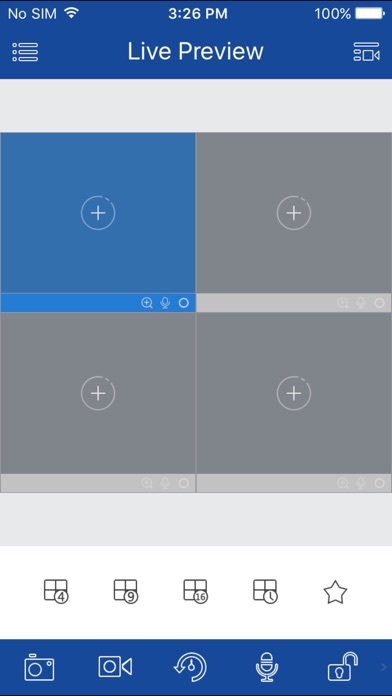 This app works great and as promised. I used the free version and the upgrade is worth the enhancements. 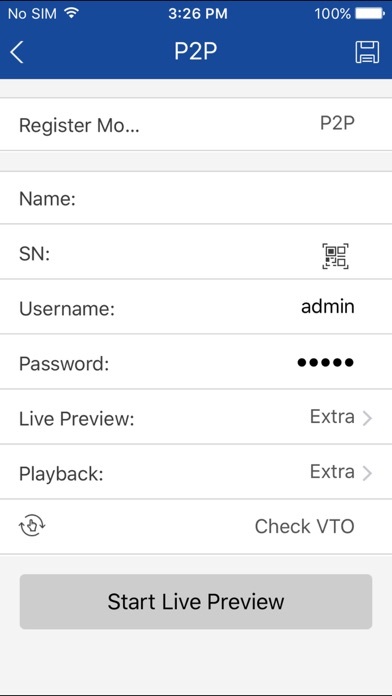 *** Regarding the comments that the app doesn’t support playback, for others to assess the value of such comments, we need to know that the individual upgraded their OUTGOING Internet access to handle the video feed their cameras produce. Most households have a minimal outgoing Internet that’s insufficient for even one active camera. It would take forever to upload its output so that your mobile device can see it. It’s my guess that this is the real reason why those who are complaining about the app are unhappy. Low Internet uplink speed is not the app’s fault... Secondly, why would you want to access your video recordings from a mobile device? That jeopardizes them. You should do that via a direct computer link in your home: that gives the highest speed access, best control, and nobody can hack in. The .006 version is unstable. 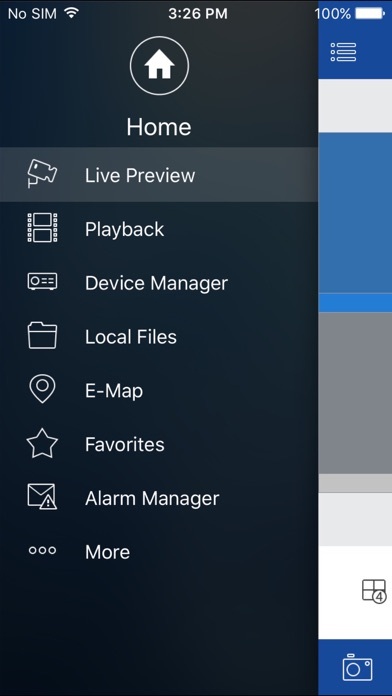 In playback it’s missing the speed indicator. It didn’t sho all of my cameras. Also it didn’t connect to the DVR consistently. .005 worked much better. Can I go back to that version? 360 Security installed our IC Real-time system and set us up with the ICRSS Pro app. The app is easy to use and the camera picture is beautiful. Def recommend. 360 Security Installed our ICRealtime system and it is awesome. Great picture and the ICRS PRO App is definitely worth the money! Great app and great dealer installed it!